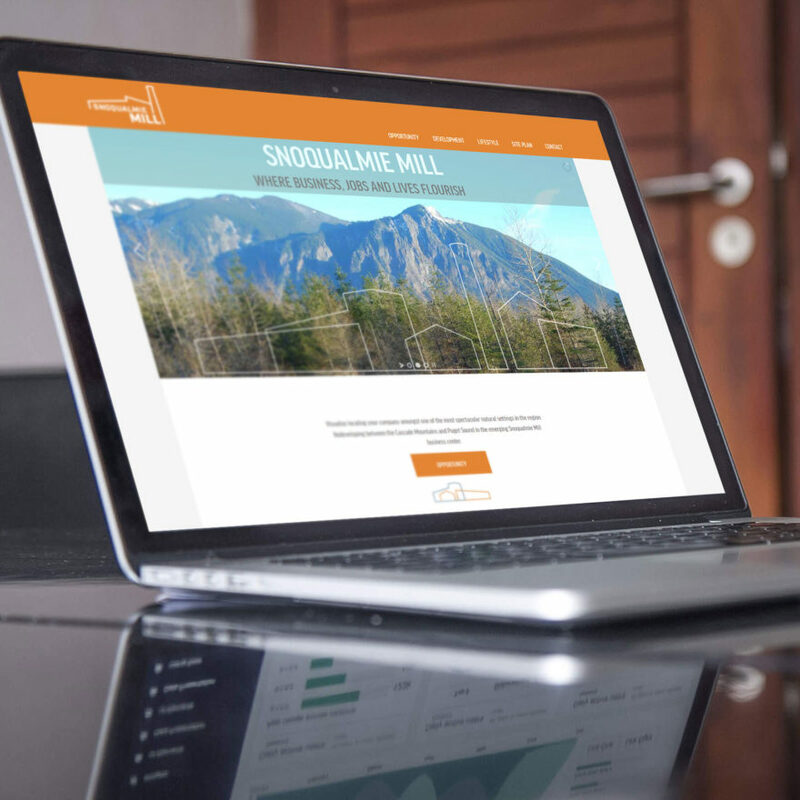 Snoquamlie Mill is a new development bringing residential, commercial, and light industrial opportunities to the growing Snoqualmie Valley. This enterprise is just in their early stages, but required a website to help provide the marketing platform for possible sales. 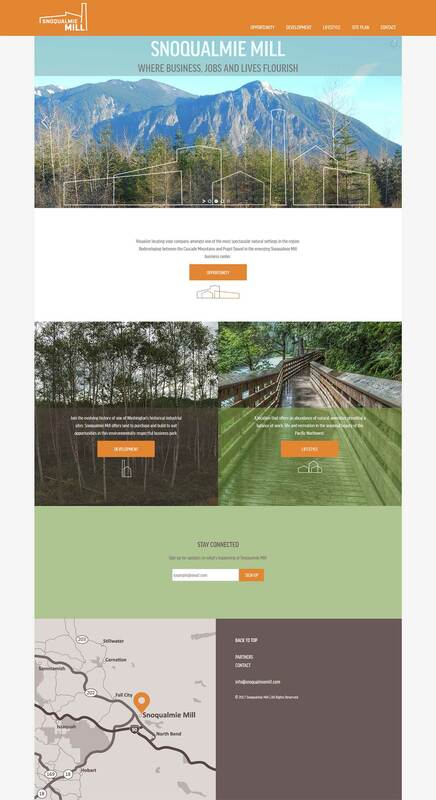 The folks at Snoqualmie Mill enlisted the great team at Arscentia to design the brand, messaging, and website design. FourTen Creative was enlisted to create a custom template to realize those designs and guide the SEO strategy of the initial build-out. The final product is a beautiful, functional site that will help the Snoqualmie Mill team grow their project over the next few years. I’m looking forward to what will pop up!